One of the many aspects of being at Elcona CC that I truly take pride in is the club’s active participation in the Audubon Cooperative Golf Course Sanctuary Program. Beginning with Tom Zimmerman’s vision and efforts in the 1990’s, through all the hard work that Greg Shaffer, volunteer members of the club, and the Grounds staff performed to achieve Certified Sanctuary status in 2012, it demonstrates our commitment to environmentally friendly maintenance practices and protection of our native wildlife. 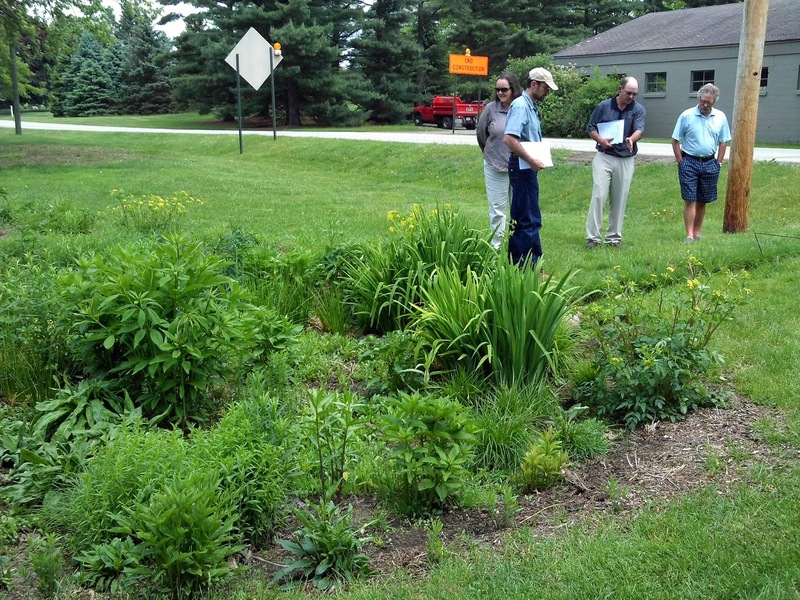 “The Elcona Country Club became a Certified Audubon Cooperative Sanctuary in 2012. This education and certification program promotes environmentally-sensitive golf course management, including wildlife conservation, water conservation, water quality protection, and chemical use reduction and safety. Every two years, the club is required to be recertified, which includes a visit by an independent third party. Elcona asked the SWCD to perform the visit on May 27. Our inspector (a non-golfer) sure got an education, and was very impressed with the ways the club is protecting resources. They started working toward certification in the early 1990s, which shows a long-term commitment. Also, The Goshen News recently took a tour of the property and wrote a nice article as well, which you can read here. We hope to hear very soon on achieving our Recertification, and continue to finding projects to further extend our stewardship. 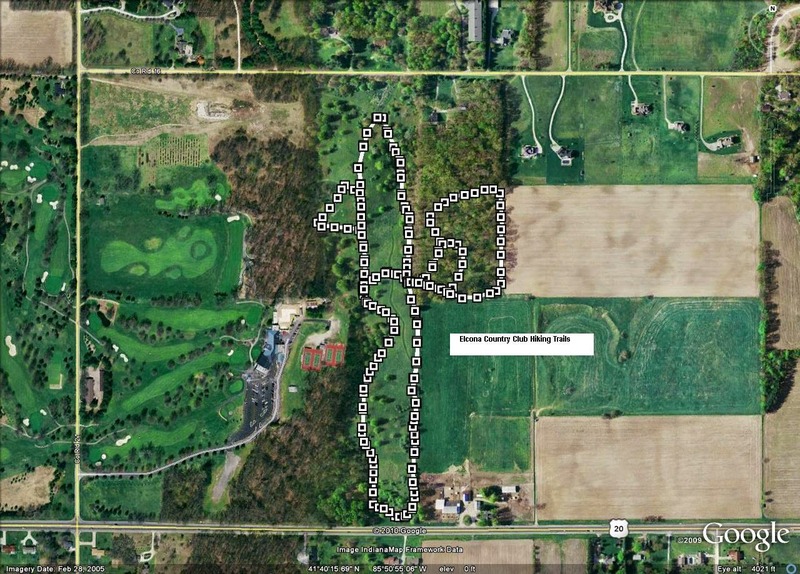 One such area that is a large piece of our Audubon efforts are our hiking trails to the east of the clubhouse. Greg wrote a tremendous blog on these trails in 2013, but for our new members I wanted to make sure you knew of their availability for family hiking, biking, and cross country skiing in the winter. There are 10k of trails to explore, which the picture to the right shows. This is yet another option for your recreation that Elcona offers you as a member. Come on out on a nice afternoon for a nice walk! June 2014 so far has been the 3rd wettest June on record, and I think I can speak for all that it is time for some drier conditions. At Elcona, through June 25th, we have received 9.25 inches of rain for the month. The golf course has taken it well for the most part, thanks to our sandy loam soils. Firmer conditions are coming back. With the hotter, and definitely wetter weather, some of our greens have experienced some disease issues, with the most severe being #13. The fungal disease impacting areas of the green is called anthracnose, and it loves hot, wet weather. We have been attempting to control it with our weekly fungicide applications, but have not been successful fully. Today, we vented the green using 1/4″ solid tines, the same tines we use in our monthly venting across all of the putting surfaces, and topdressed with sand. The purpose of this is to increase oxygen flow to the roots and dry the profile out to eliminate the environmental conditions needed for the disease to thrive. We also have began using a dedicated mower for this green, with a slight increase in height (.005″) to better allow the turf to recover from the damage caused. This is a temporary solution that should alleviate the current situation. 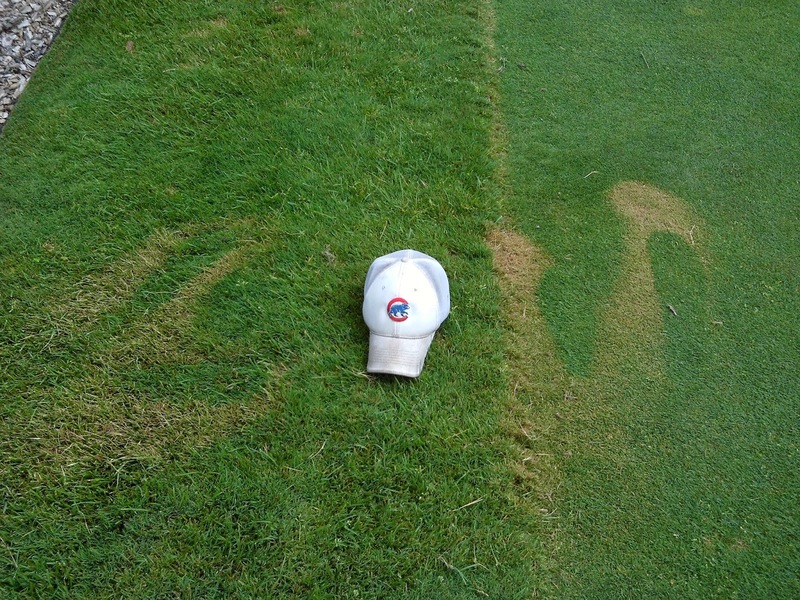 These steps are the best management practices to deal with anthracnose. 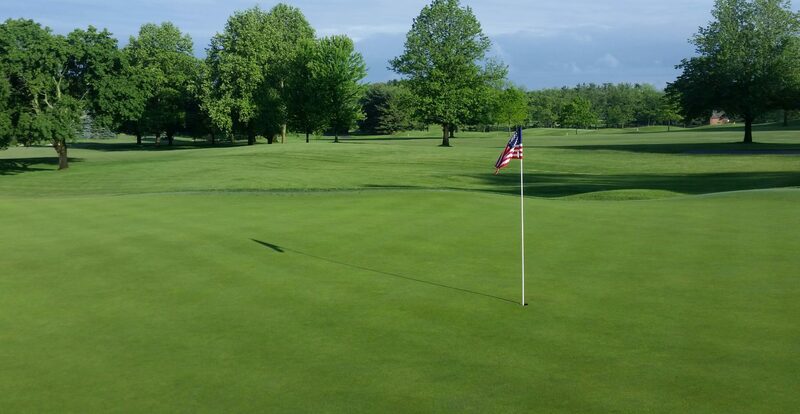 As soon as the disease is held in check, we will be repairing any damage that does not recover fully and return the green to normal maintenance practices. If you have any questions, feel free to email me at ryan@elconacc.com. Also, we have had a couple of instances where people (in this case outing guests) apply bug spray on our finer maintained turf. The picture on the right shows the after effects of this on 16 tee. Please, if you need to apply bug spray, do it on a cart path. This picture shows that rough height turf as well as the tee itself will not recover around the green foot prints. Thank you for your cooperation in advance. 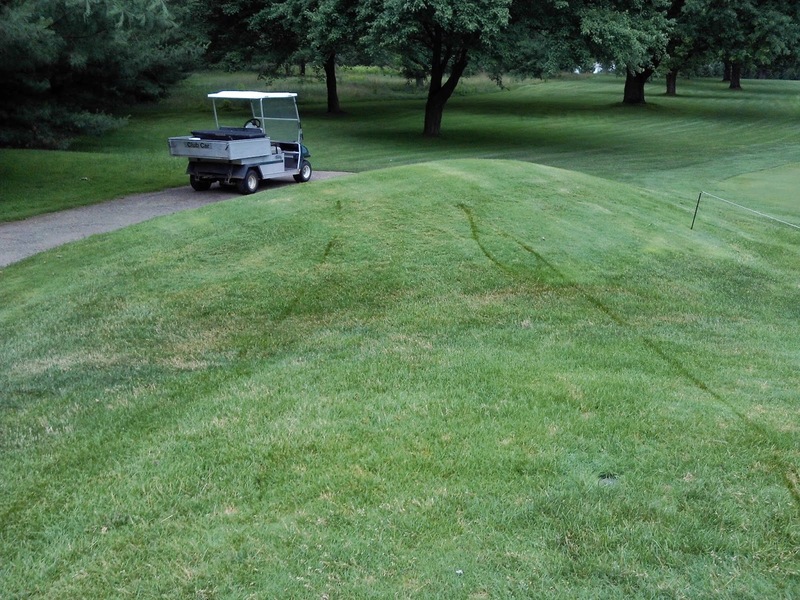 Finally, we had a hydraulic line break on our surround mower, causing some oil to leak in various spots. The oil line was directly behind the operator and was not noticed until driving on the asphalt path. It is interesting to note that it is not the oil itself that kills the turf, but the high temperature that the oil is at during normal operation. We will be monitoring the damage and taking appropriate steps. There is never a good time for this to happen! As the season as gone along this year, I have had quite a few of you ask me about proper divot replacement on the fairways and tees. The best answer I can give you is that no matter the size of the divot you take, please take the time to replace it. The bigger the divot, the better chance it has of recovery. Even though the smaller divots may not heal properly, it is always a good practice to replace them to help keep the fairways looking clean. Even though we supply divot mix on the tees, it is always best if possible to replace any divots you take from your tee shot as well, once again to help keep the areas clean. Greg wrote an excellent blog post on this matter last year, which you can read here. Improper repair of a ballmark. 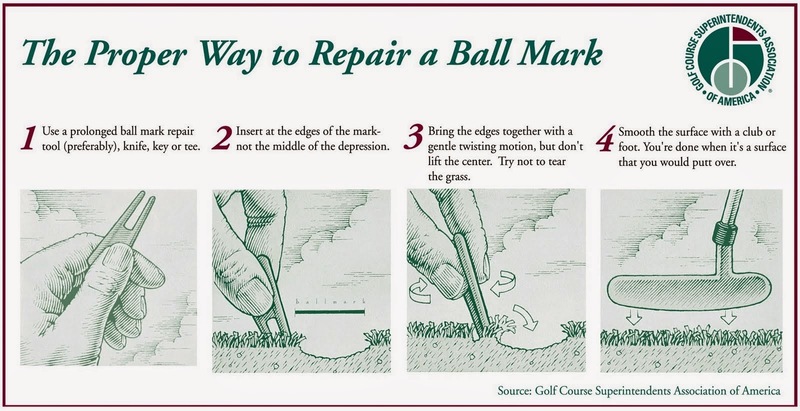 Another item that I have received questions on is the proper way to repair a ballmark on the green. Above is a handy pictorial from the Golf Course Superintendents Association of America that shows the proper technique. The key point in repairing pitchmarks is to NOT lift the mark up, but rather gently twist the sides in. 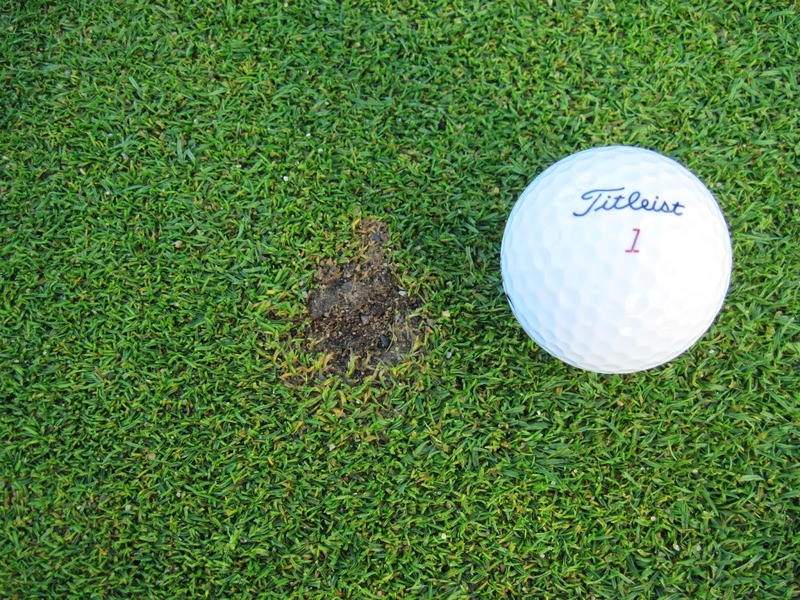 Lifting the mark up severs the turf and greatly reduces the chance that the ballmark will heal properly. To the right shows an improperly repaired ballmark. If repaired correctly, the scar will heal within 24 hours. If not, the pitchmark will take up to 15 days to heal. Finally, the question of placing the bunker rakes is one that I get each year. While there is no specific rule on their placement, at Elcona the rakes are left outside the bunker, with the rake head facing the direction of play. This minimizes the chance of any rule scenarios impacting your round. As always, if you have any questions, please contact me at the Maintenance Facility or at ryan@elconacc.com. Have a great weekend!